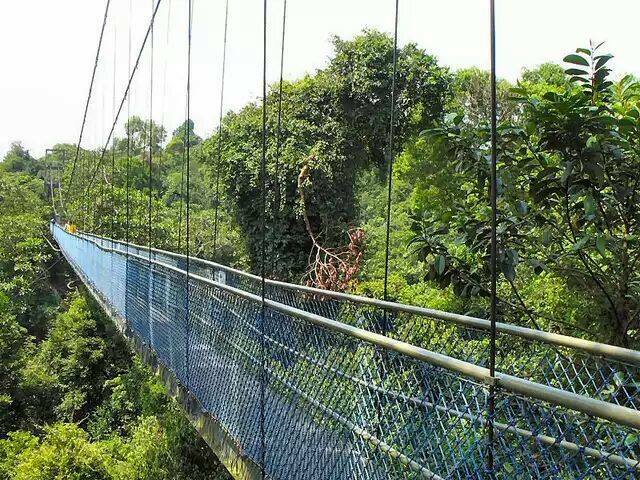 The TreeTop Walk (TTW) is the highlight of several long hiking routes in MacRitchie that brings you through the different stages of a mature secondary forest. The first of its kind in Singapore and in the region, this free-standing suspension bridge connects the two highest points (Bukit Peirce and Bukit Kalang) in MacRitchie and offers a bird’s eye view of the community of plants and animals that live in the forest canopy. The total length of the walkway is about 250 m and its height from the forest floor varies, with the highest point at 25 m. – National Parks. Meeting time & place : 12.30pm at Farrer Road MRT* (CC line) or 1pm at The Roti Prata House, 246 Upper Thomson Road. * NOT Farrer Park MRT at NE Line. We will have lunch at The Roti Prata House before the walk. Wear comfortable trekking shoes. Bring drinking water, umbrella, sunscreen, insect repellent. Sign up via Facebook event page http://www.facebook.com/events/561821467305064 or whatsapp/SMS your name and number of people to 9011 3220. For enquiries, contact Andrew at 6451 0375 or 9011 3220.